Richer for Wandering: LIVING THE WILD LIFE! We have not lived in the wild, or in camper-vans, or in Youth Hostels, (they call them backpacker hotels here) where the wild life is always heard loud and late. 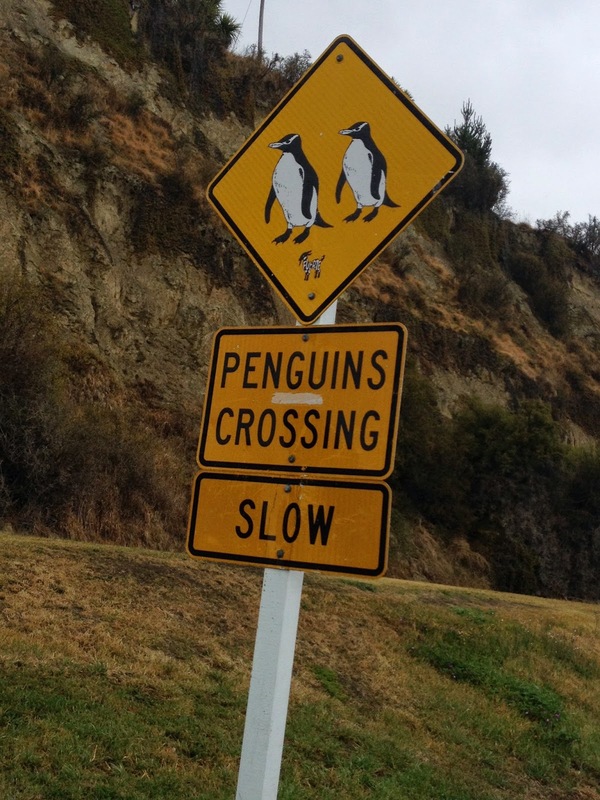 It doesn't matter, New Zealand is a wild country. It has wild oceans, volcanoes, thermal geysers and birds a plenty. It has seals, whales, dolphins and penguins. We have come here late spring/early summer and the winds can blow. It can also be as beautiful a place as we have seen. Miles and miles of unspoilt country beckoning us to drive spectacular drives, walk the best designed nature trails in the world and be left completely breathless, figuratively and literally. Taupo / Rotorua have thermal geysers scattered throughout and it looks like the towns are on fire. It's crazy wild "tramping" with craters that are boiling and steaming around you. 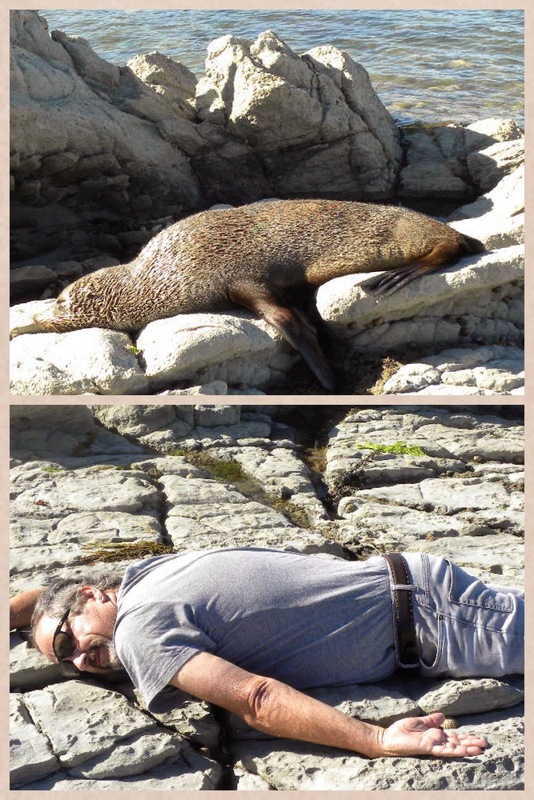 Let's start with the seals - can you tell the difference between a seal and a walrus? 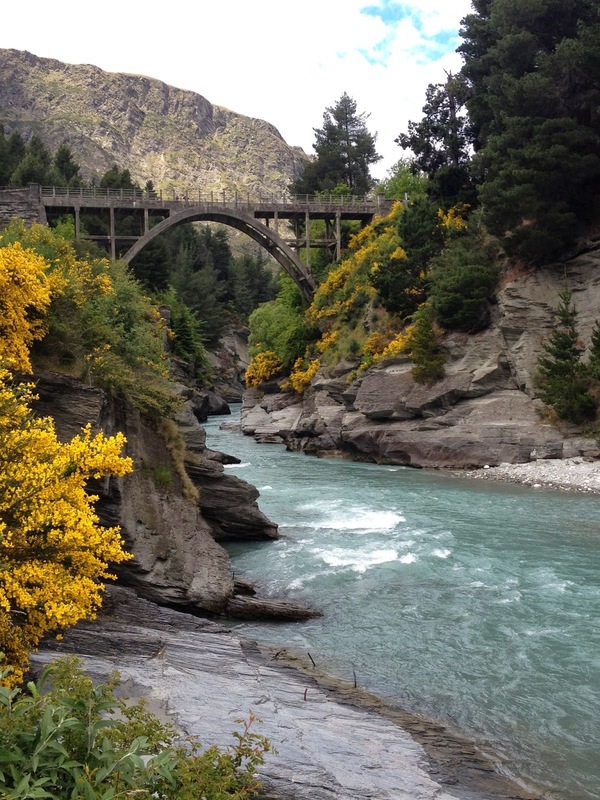 All through New Zealand are wonderful walking trails, many through rain forests and wild bush. 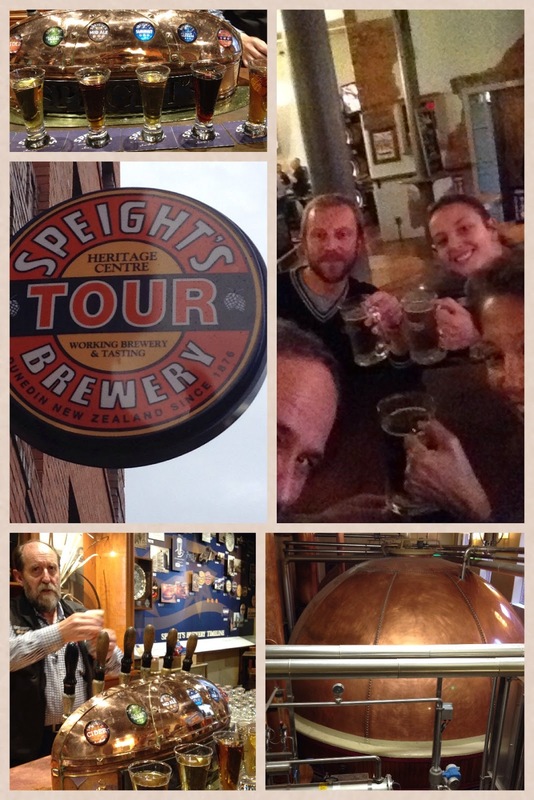 We always felt safe because New Zealand has no harmful animals like poisonous snakes, scorpions, or venomous insects. Deer we thought were wild but not, Dasher, Dancer, Prancer and Vixen live in New Zealand during the off season and are now heading to the North Pole. We are at the "Pancake Rocks" in Punakaiki on a rainy day. These stacked rocks were 30 million years in the making from dead marine creatures and plants under the seabed which turned into layers of limestone that emerged to look like a stack of pancakes. 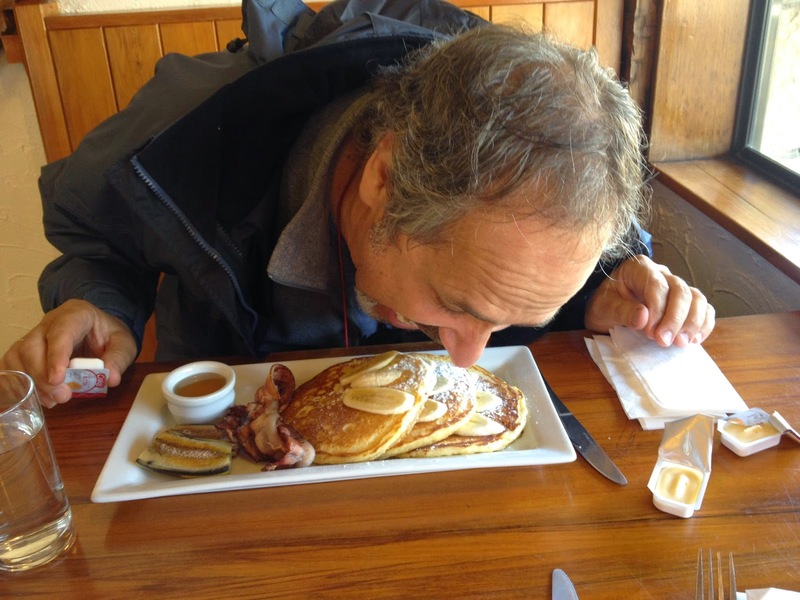 These are the pancakes Rich knows best! The kids are pretty wild here, most travel in packs on buses that cater to the youth. They hop on and off a bus and stay in an area as long as they like. Daughter Renata traveled this way last year when she was here. Ahhh! This is the kind of wild life I enjoy - wild crayfish with garlic butter!! Summer in New Zealand with all the wild flowers in bloom! Southwest New Zealand is one of the great wilderness areas of the southern hemisphere and is now recognized as a UNESCO World Heritage site since 1990. 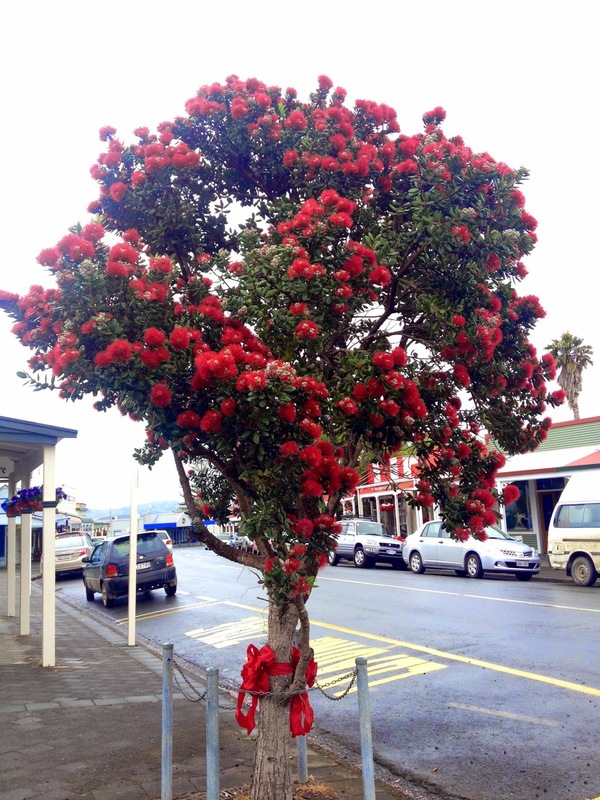 The Pohutukawa Tree is New Zealands native Christmas Tree. The wildly beautiful tree blooms bright red flowers in December and is found all over New Zealand. Driving along the coast we saw spectacular blooms of trees much larger than the small one pictured. Love it! Great! I enjoy Wandering with you! Are you planning a trip soon? Please contact us at Richerforwandering@gmail.com for Guides and Info regarding personalized tours and Tour Groups.